It’s twins! Two shades blended for the first time ever. Pantone has announced its 2016 Colour of the Year – and it’s a curveball. 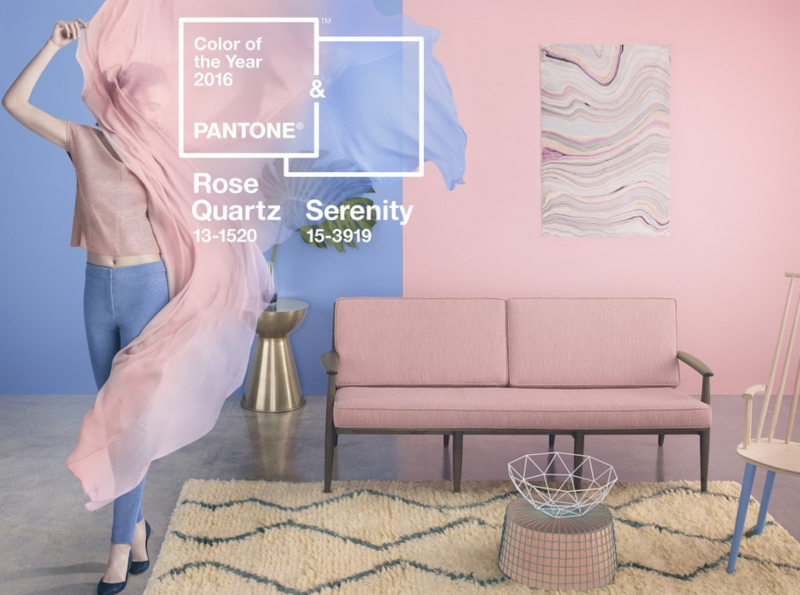 For the first time ever, the global colour authority has picked a combination of two for the year ahead: Pantone 15-3919 Serenity and Pantone 13-1520 Rose Quartz. The announcement, today, is an annual event that’s closely watched by pundits across the design and fashion industries. You can expect a cascade of products in these colours from designers and retailers over the following 12 months. “As consumers seek mindfulness and well-being as an antidote to the stress of modern day lives, welcoming colours that psychologically fulfil the yearning for reassurance and security are becoming more prominent,” says Pantone.